This 1908 $20 Gold Saint Gaudens Double Eagle Coin No Motto NGC MS 64 will make an excellent choice for your collection. 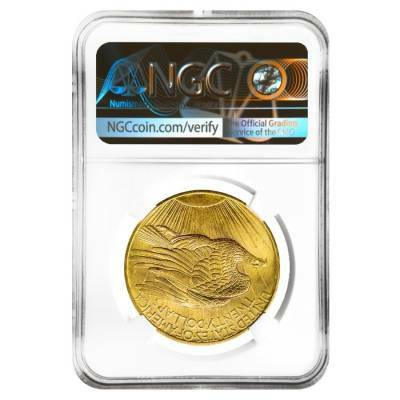 The coin comes graded as MS 64 by NGC. The obverse showcases Lady Liberty holding an olive branch and flaming torch in her hands, marching towards a new day. 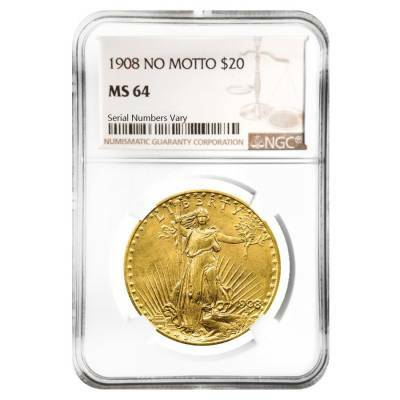 The phrase "LIBERTY" is inscribed above and the year of mintage is on the side. 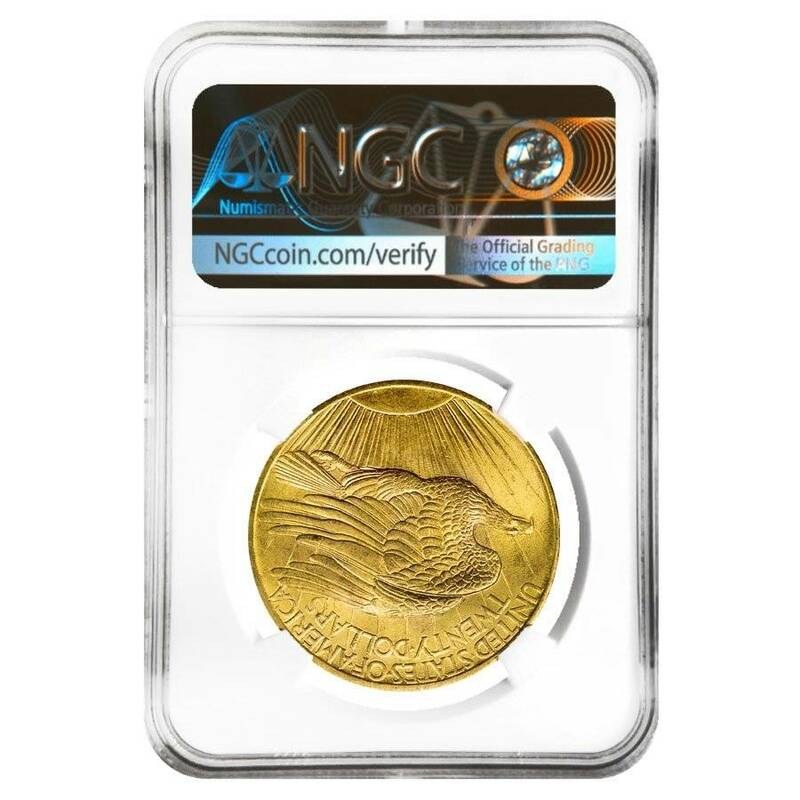 The reverse depicts a soaring American eagle, as the sun rises to a new day. Inscriptions include "UNITED STATES OF AMERICA" and the denomination. For every $1 spend, you will earn 1 Bullionaire Buck which is equivalent to $0.001 off a future purchase. 1398 BB = $1.40.